Packed light as we flew on budget (Tiger Airways, in case you were wondering) and didn't want to pay for check-in luggage. Each of us brought our own yoga mats too! 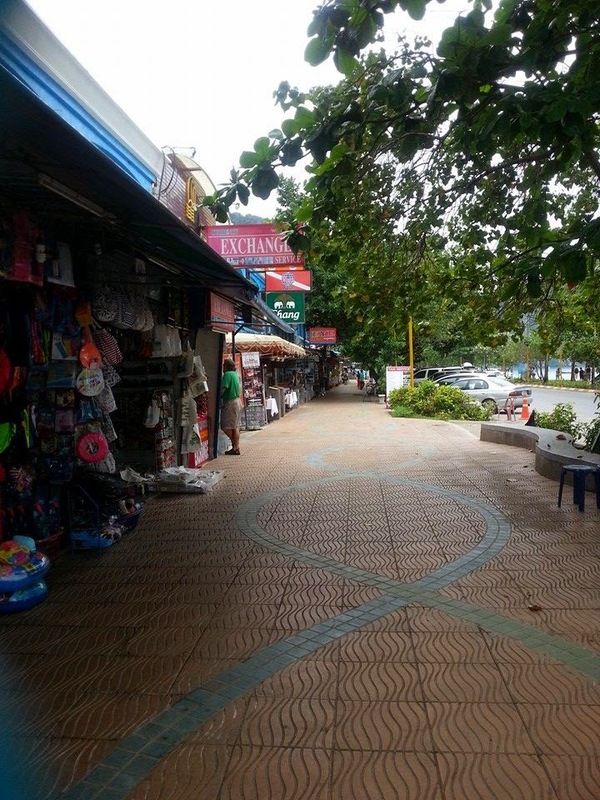 Arrived in Krabi International Airport within 1.5 hours (great to be living in Singapore!) 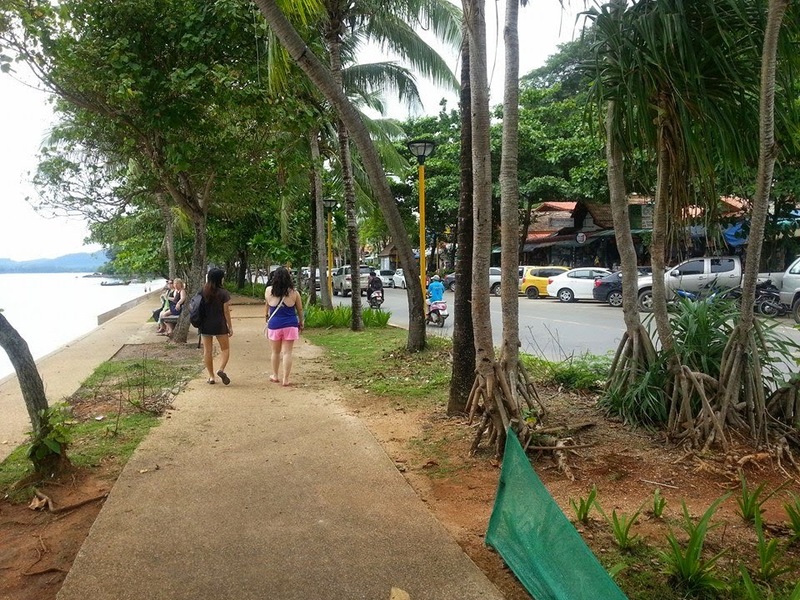 and off we went to Ban Sainai Resort in Ao Nang as that was where our retreat was held for 3 Days (2 evening workshops and 2 morning sessions). In our first workshop, our instructor taught us how to self-massage and ease out some knots in our backs and shoulders using 2 tennis balls and block, which I was so happy to learn because my shoulders are perpetually stiff and aching. The modern lifestyle is so bad for us and all of us had the same knots and stiff, aching muscles. That's our instructor early in the morning and she told us that she's going to teach us how to do this inversion (it's not a headstand) later that evening during our workshop (*gasp*). After breakfast, we decided to take another dip in the pool before lunch, which was another 4-course feast with too much food. 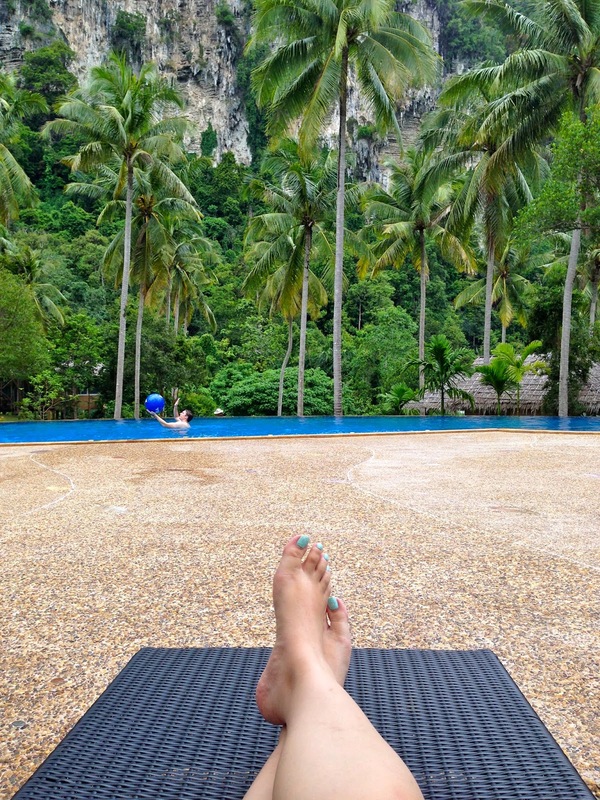 It was really nice to just lounge by the pool that faces a huge cliff and simply enjoy nature. The only part of nature that I didn't enjoy were the insects that insist on hovering near me. We were 'ambushed' by our instructor who took photos of us lazing by the pool! 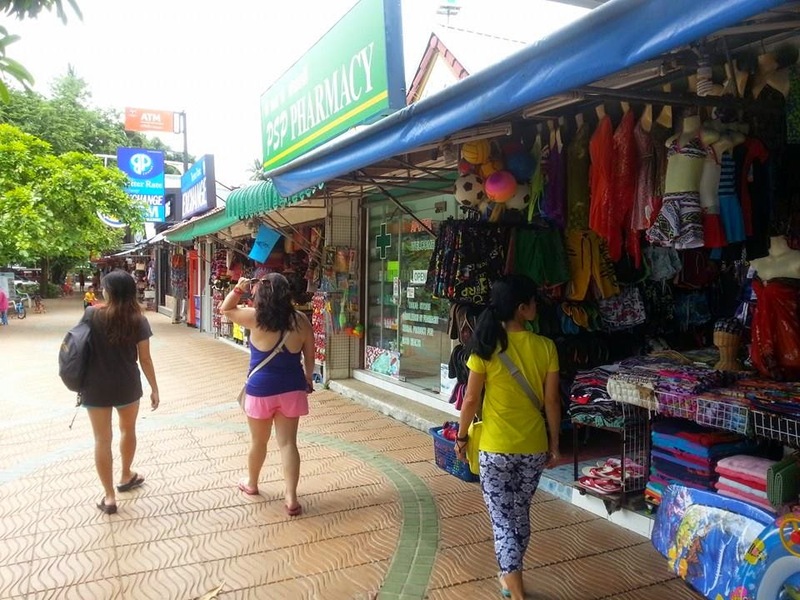 Our workshop that evening was at 5.30pm so with 4 hours to kill, we headed off to Ao Nang Beach to just look around and shop! It was a rather cloudy day so we couldn't really laze on the beach to get a tan. Funnily enough, my instructor was walking behind me when she suddenly said, "Melissa...you're really white!" LOL. Yup...I'm so fair that I don't tan. I burn. Also, some friends don't like taking photos standing next to me because I make them look darker. Hahahaha. I tried the Thai Rum and boy was it potent! We were joking that with that booze, we wouldn't be able to invert. Inversion? I thought I'm already inverted? I see everything upside down...buahahahaha. 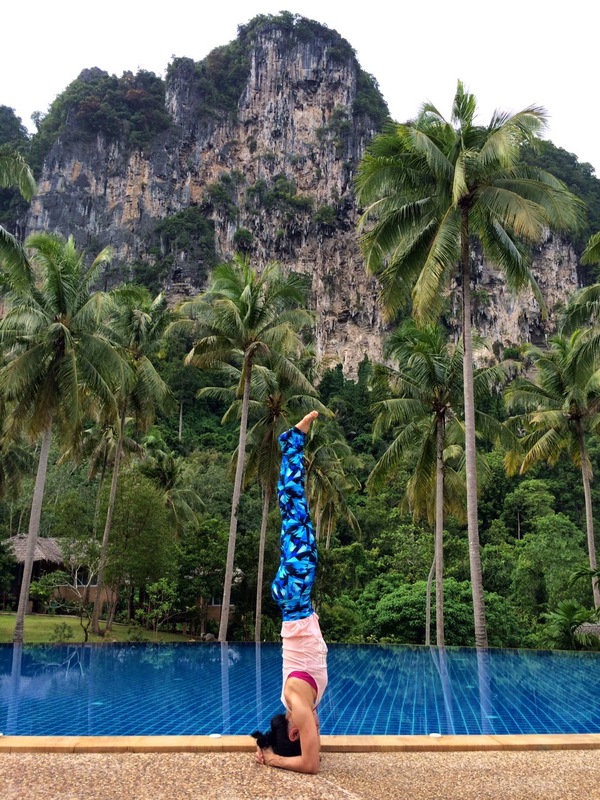 Nonetheless, it was back to the resort for our evening workshop where I attempted to invert but alas, my core muscles are non-existent and hence, I was not able to do more than just lift my legs up to a 45 deg angle before they came back down. Day 3 started off with another morning yoga session at 6.15am. I'm really not a morning person and after 15 minutes, I felt a little dizzy and was dripping with perspiration although I continued to push through. It ended on a high note because we made new friends, found that most of us had similar interests (yay...new travelling buddies!) and all of us were non-judgemental when it came to fitness. What a great Friday night out! My nail polishes have a new home!